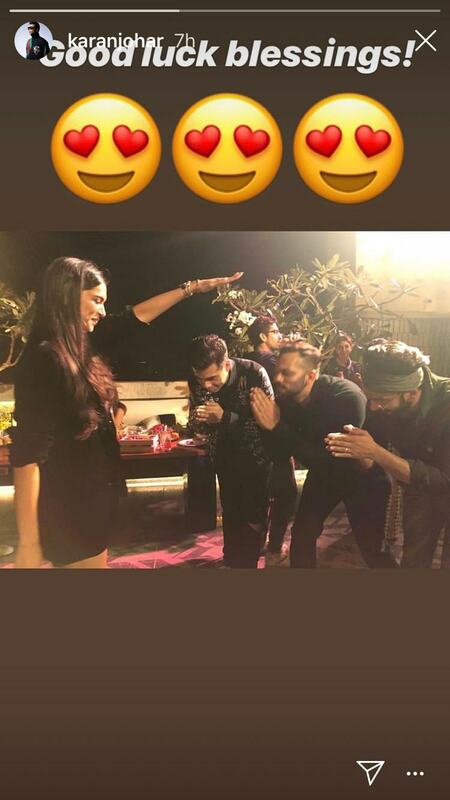 Team Simmba has all the reasons to rejoice and it did just that at a party hosted by producer Karan Johar at his Mumbai residence on Monday night. Inside pictures have been posted on social media by celebrities which are testimony to the fun they had all night. Ranveer Singh, the star of Simmba, was on cloud nine as he partied with his actress wife Deepika Padukone, Ajay Devgn (who had an extended cameo in the film), Kajol, Akshay Kumar (star of Rohit Shetty's upcoming film), Sara Ali Khan and other members of team Simmba. 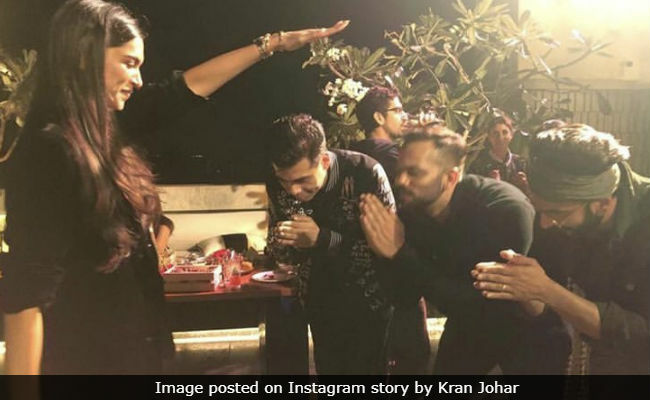 Karan JOhar shared an image of Deepika Padukone blessing Ranveer, Rohit Shetty and himself, which made the Internet ROFL. Another picture posted by Karan Johar and Director Rohit Shetty (with different captions) on their respective Instagram accounts stood out among the rest. In this picture, KJo and Rohit posed with Ranveer Singh (Simmba), Ajay Devgn (Singham) and Akshay Kumar, who is the star of Rohit Shetty's next Singham spinoff titled Sooryavanshi. Rohit captioned the picture "Should I tell you something you don't know?" suggesting that there is more to the picture than we can see. The caption is also a spin on Ranveer's character's catchphrase, which Deepika Padukone used as a comment. Karan Johar's caption added to our curiosity: "Think I know what you're talking about." Singham Simmba Sooryavanshi...Coming...Should I tell you Something that you don't know??? Simmba, with Rs 190 crore in its pockets, became the third highest earning film of 2018 after ruling the box office for the second week. Simmba is Ranveer's second release of 2018 - his first "Padmaavat," headlined by Deepika Padukone earned over Rs 300 crore in India. #Simmba refuses to slow down... Packs a solid punch in Weekend 2... Nears 200 cr mark... Emerges THIRD HIGHEST GROSSER of 2018, after #Sanju and #Padmaavat... [Week 2] Fri 9.02 cr, Sat 13.32 cr, Sun 17.49 cr. Total: 190.64 cr. India biz. Simmba is a spin-off of Rohit Shetty's Singham series, which is headlined by Ajay Devgn. Meanwhile, aforementioned Sooryavanshi with Akshay Kumar in lead will open in cinemas this year.